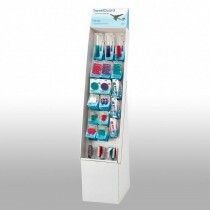 Turn heads with our power wings, putting products within your customer’s grasp as they round your aisles. These units come pre-packed and ready to hang on your grid or slat wall. Note: the J60 sprayer pictured below is available in a power wing display unit.